This impeccably maintained ranch in quick-selling Lafayette Falls shows like a model. The super clean, light and bright split-bedroom open floor plan villa has many features to offer the new buyer. With the neutral paint, flooring, and countertops, simply move in and make it your own. Gleaming hardwood flooring welcomes you in the entryway, hallway, and continues in the kitchen and casual dining area. There is new recessed lighting in the great room and dining room, which overlooks the private, tree-lined back yard. The carpet on the main level was replaced just 2 years ago. The lower level was professionally finished in 2013 and adds an additional huge gathering space and office/bedroom (no window). All of this, and no-maintenance living! 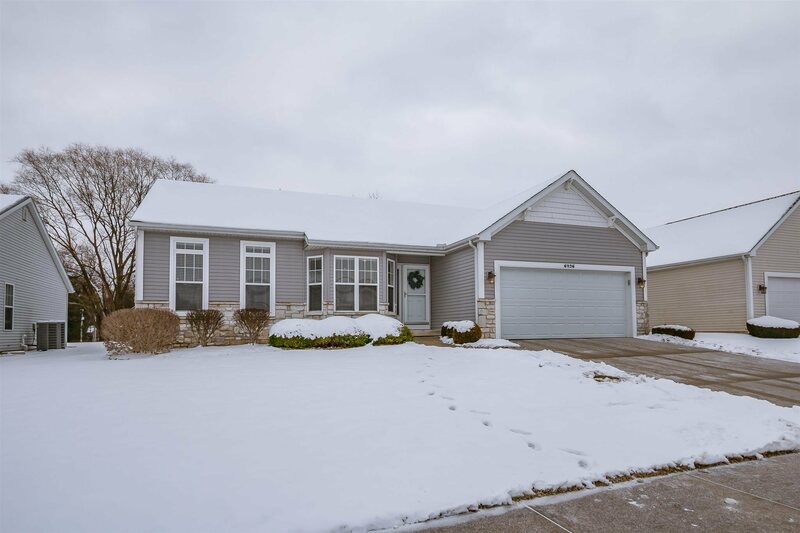 Schedule a showing, and you will not be disappointed in person with the condition and what this home has to offer!